On behalf of the Regional Tourism Organization 12 (RTO 12) Board of Directors, thank you for your interest in exploring the possibility of joining our Board. This information package has been designed to give you a greater understanding of the role and responsibilities that fall to the Board, the commitment required of Board members, and help you determine if Board service is right for you. In 2017-2018, the RTO12 Board of Directors invested in a thorough product development analysis for the region. In previous years, product development took a back seat to what was considered the main priority of the RTO: building a results-driven domestic marketing program using social, mobile, content marketing. Now, however, with international markets now the focus of the Board (which commenced with the successful launch of the Share Your Canada 150 campaign in spring 2017), it became an elevated priority for RTO12 to identify which specific products are most likely to compete on the global stage. Attracting commercial air service requires a rigourous understanding of the market’s air service market potential. 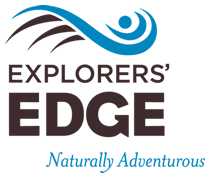 Explorers’ Edge, Ontario’s regional tourism organization for Algonquin Park, the Almaguin Highlands, Loring-Restoule, Muskoka and Parry Sound, has retained InterVISTAS Consulting to analyze the air service market potential of the region, to be served from Muskoka Airport (“YQA”). 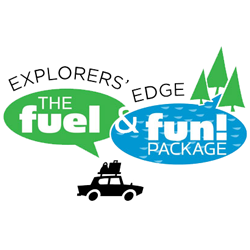 Explorers’ Edge (RTO12) retained Twenty31 Consulting in the Spring of 2016, to act as a Project Lead in the development of regional itineraries specifically for the US and the UK consumer markets. The intention of the proposed project was to move long-haul visitors around the region (RTO12), thereby extending their stays (i.e., 1+ nights) in the region, and fostering greater purchasing.